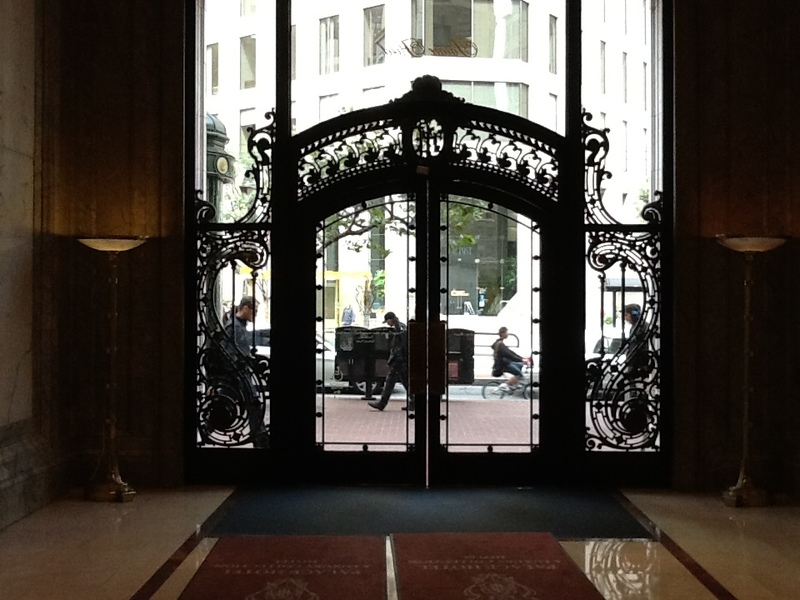 San Francisco Palace Hotel – is this door Art Nouveau? I just posted on my other blog ” My Notebook” about the historic tour at the San Francisco Palace Hotel. I wonder if this door Art Nouveau? The hotel was rebuilt in 1909 after the 1906 earthquake. I think the design and the period ….looks like that it is Art Nouveau? I know many experts of Art Nouveau are following my blog ( what an honor!). I would like to ask you for your comments. Thanks. 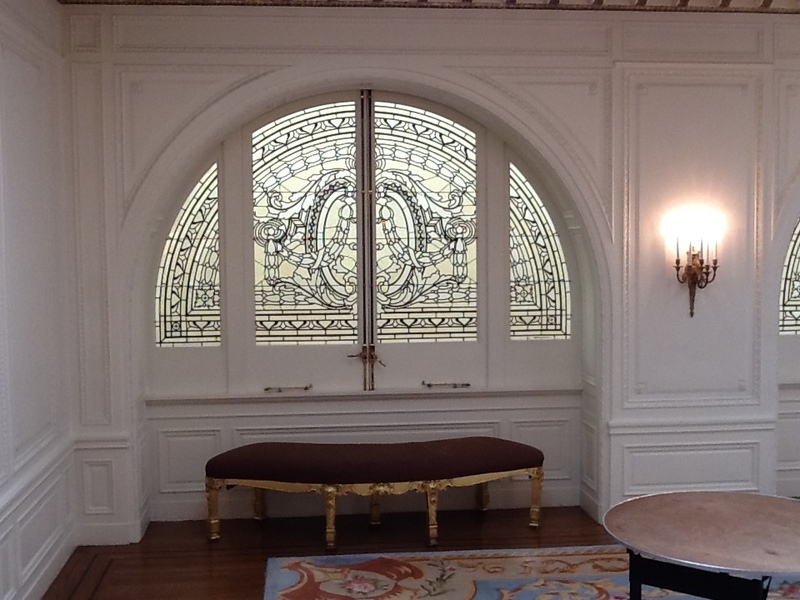 This is the window at the French Parlor in the Palace Hotel. The window opens out to see the full view of the beautiful Garden Court Restaurant downstairs. It is a replica made here in Emeryville. I wonder if the original window with this design in the 1909 period…would it be Art Nouveau?…..I am just guessing. Would love to hear from my fellow bloggers! Thanks. P.S. I am using the WordPress app on my iPad. It is very convenient for short posts particularly. I highly recommend this app to my fellow bloggers! Previous What is Art Deco? Is it the same as Art Nouveau? This post made me homesick for San Francisco where I lived for many years. You should come home then! Thanks for stopping by! I would consider that door art nouveau which preceded art deco and is a little more ornate than art deco.. Indeed. I learned from you today. I found some interesting stuff during my recent trip to South America also. Will share later. Thanks for stopping by.